“The price of being ambitious is that you’re never satisfied”. New favourite guest alert! 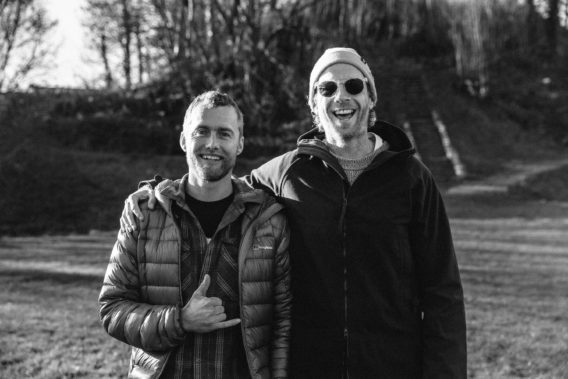 I very much enjoyed this serendipitous conversation with climber, adventurer and explorer Leo Houlding, recorded at the Kendal Mountain Festival in November 2018. 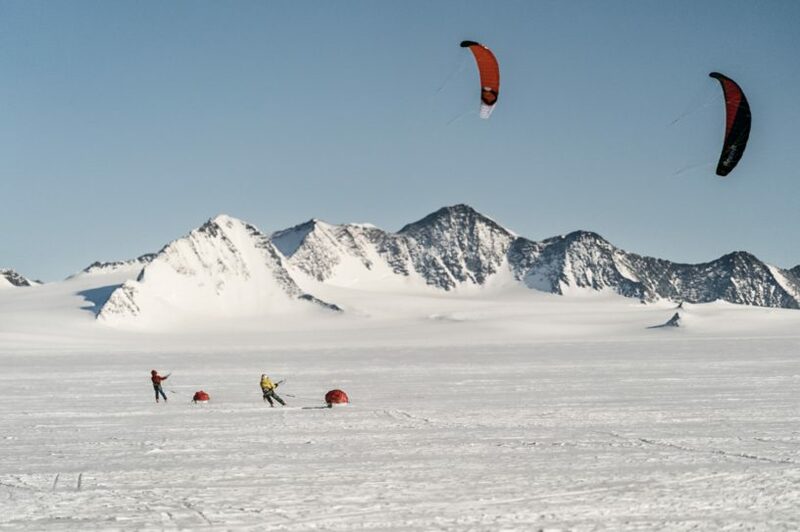 Leo was at the festival to promote his film Spectre, about the expedition of the same name that saw him and companions Mark Sedon and Jean Burgun kite ski across Antarctica, attempt to climb Spectre, a peak deep in the Transantarctic Range; before kiting back across the continent to get home. 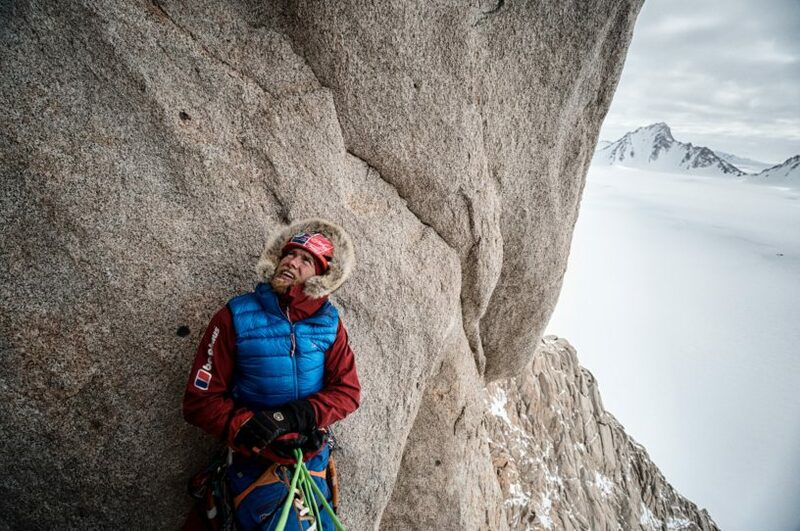 This hugely ambitious project is an example of what Leo calls ‘21st century exploration’, and as we chatted I realised that through such expeditions Houlding is quietly reinventing our notions of adventure by marrying the scale and ambition of traditional exploration with a modern action sports sensibility. Leo on the throne. Spectre the imposing middle spire. 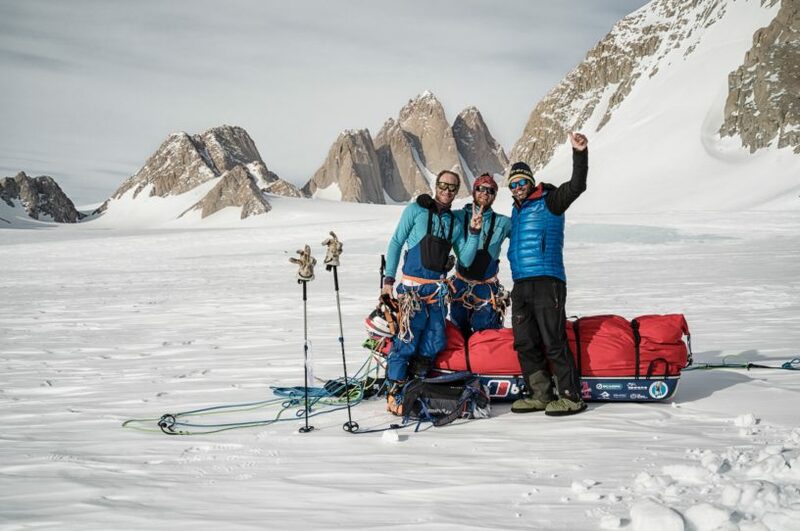 It’s a completely innovative approach that raises some rather interesting ethical questions about the whole business of polar exploration and the very notion of adventure itself in the modern era, something we discussed at entertaining length during our chat. Leo with Marc and Jean. We also explored one of the great over-arching themes of the Looking Sideways podcast: the relativity of risk, and the ways in which athletes like Leo justify risk in the face of the danger they voluntarily place themselves in, amid the wider arc of encroaching maturity. 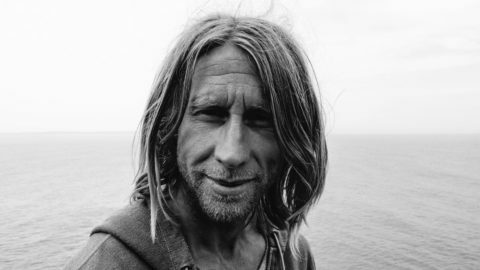 Leo is a brilliant conversationalist, transparent and honest, and as all great conversations do this one took on a life of its own as we explored his recent adventures, inner motivations and utterly unique viewpoint on the current state of adventure. 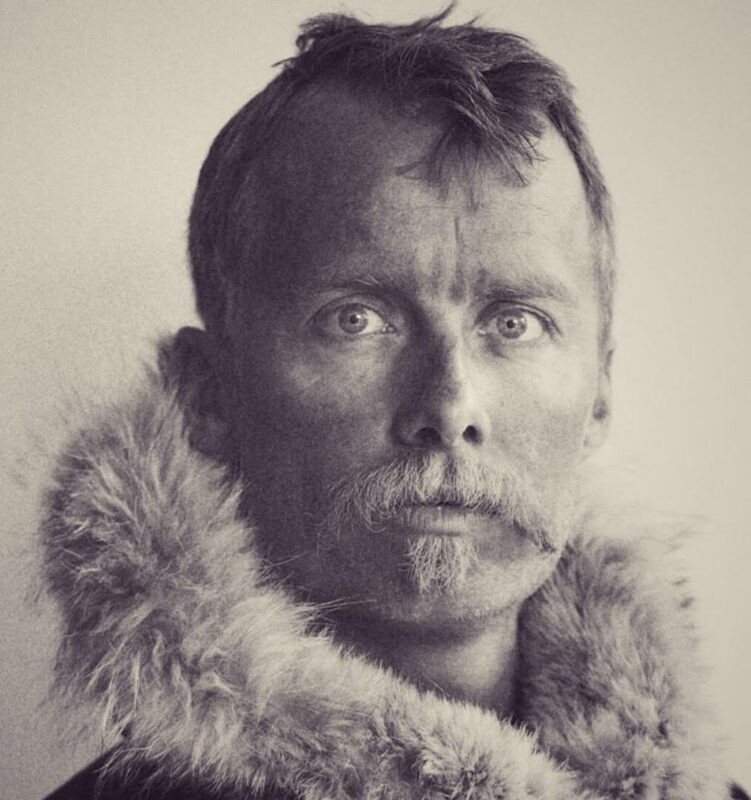 Listen to this section - Leo on the current state of polar exploration. Kiting logistics, and budgeting for time. “It was the hardest sell ever”. 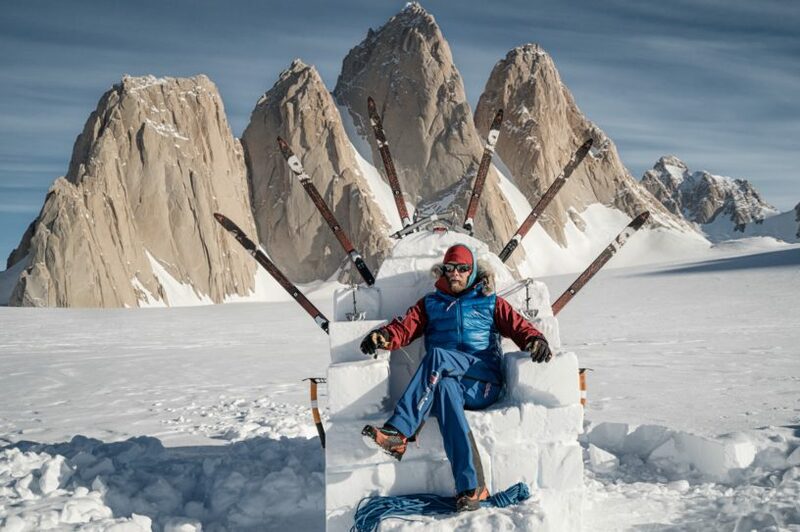 Financing an expedition like this in the modern age. Being eaten up by the decision to change objectives. Where Leo’s drive comes from. Where does this ambition end? Finding your purpose from a young age. The Strangler Fig Tree expedition. Formative years with Johnny Dawes. The appeal of the counter culture. Balancing fatherhood with personal ambitions. Rediscovering experiences through your children’ eyes. 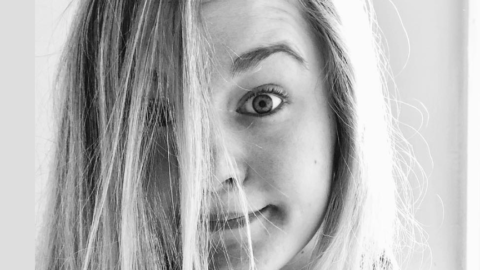 Reevaluating risk in the face of grief. 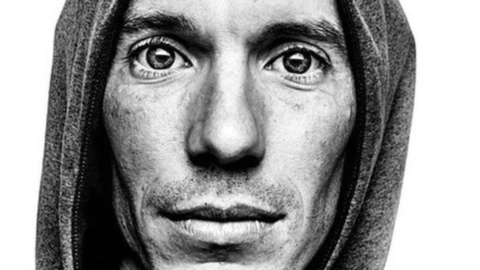 Death of Sean ‘Stanley’ Leary.